Description Photo of Henrietta Sussannah Carman Magone holding Maxwell Magone. Maxwell and Rexford Magone were twin boys born to Etta Carman Magone and her husband Daniel Dean Magone. They were born 07/03/1894 and both lived very short lives. Maxwell died 01/25/1898 at the age of 3 and Rexford died 01/25/1896 at the age of 1. No photos were ever taken of Rexford. 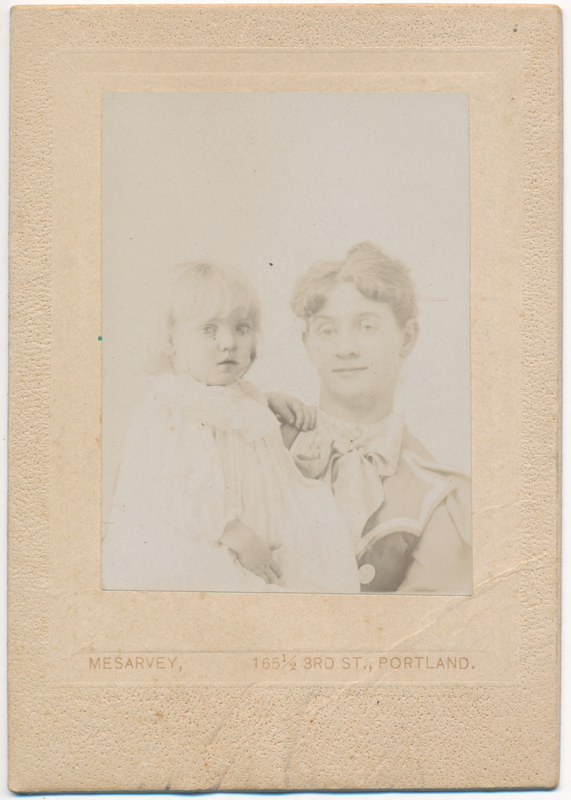 Photographer's mark reads: Mesarvey, 165 1/2 3rd St., Portland. Photo courtesy of Gary Glenn.